5 nights and 5 days of Spey fishing. Includes air transportation to and from Anchorage! Our annual spey week on the world famous Naknek River will be enhanced by the presence of Rick Sayre of Rodney Strong wine fame. 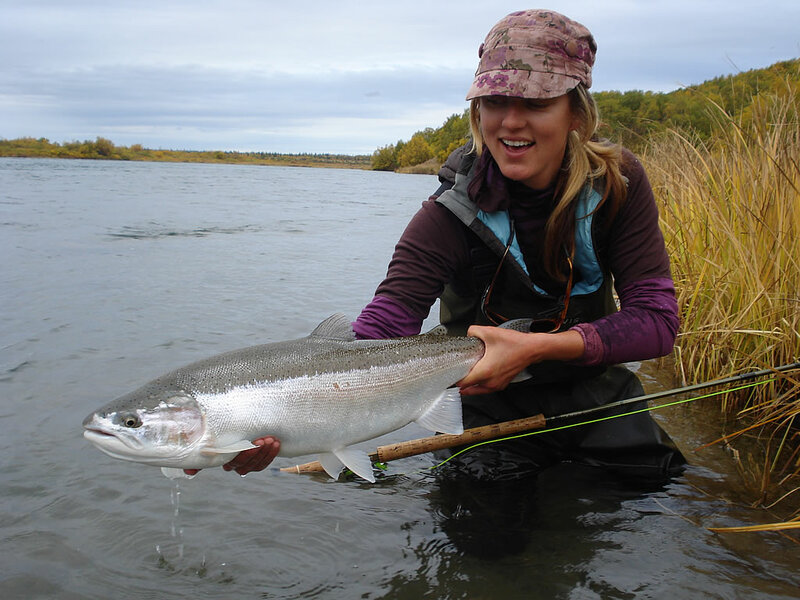 You will enjoy fishing for some of the Naknek rivers world class, monster rainbow trout by day and spend the evening sharing fishing stories and gourmet food over a glass of some of the nation’s finest wines, as proclaimed by the Wine Enthusiast. Adding to our list of well recognized name will be Tony Weaver, master casting instructor, MCI, CCAC author of many articles and the respected and often used book “Top Water”. Mark Huber THCI, CI and well known Alaska Spey Guru as well as Justin Crump and Kate Taylor of AEG media fame. Not only will you leave Bear Trail Lodge feeling much more in control of your cast, you will also have made good friends with the makers of the winery recognized as best in the United States! The 5 day package also includes two fly outs to some phenomenal rivers that fish well with two hander and switch rods. We will provide equipment as well as lines and instruction. Rods will also be available from Sage, Loop and Winston, for demo during the week. Price for the week is $5,885 FOB Anchorage. Please contact the lodge for any further details, this is going to be a fun and fish filled week for all participants! In a previous life, Justin Crump spent most of his “fishing” time behind a video camera as one of the rag-tag dirt bags of the AEG Media Crew and Kate behind the counter of a fly shop in Bellingham, Washington. Along the way, fishing double-handed rods has become a large part of Kate and Justin’s yearly fishing experience, with extensive time spent each spring and fall fishing doubles on the Naknek, followed by an annual 3 to 4 week trip to BC and finally the heart of the winter spent along the Oregon coast. You can follow their adventures on Kate’s blog www.rogueangels.net. Tony Weaver is renown throughout the fly fishing world for his innovative casting techniques and teaching abilities. He has been guiding in Alaska, and been an Alaskan resident for 48 years. He is an FFF Certified Master Fly-casting Instructor, and serves on the FFF Casting Advisory Committee. Tony has been chief technical editor for Fish Alaska Magazine and has written for Fish and Fly, FFF Flyfisher and Flyfisherman magazines. 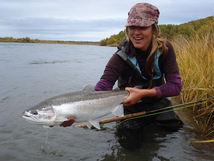 Tony is also the author of the new book Topwater: Fly-Fishing Alaska. Twice a year, Tony teaches at the Bonefish School in the Bahamas and has fished the tropics from Andros Island to Guatemala for sailfish. 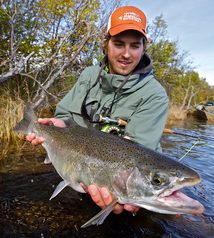 He has fished Alaska extensively from the Arctic to Prince of Wales Island. 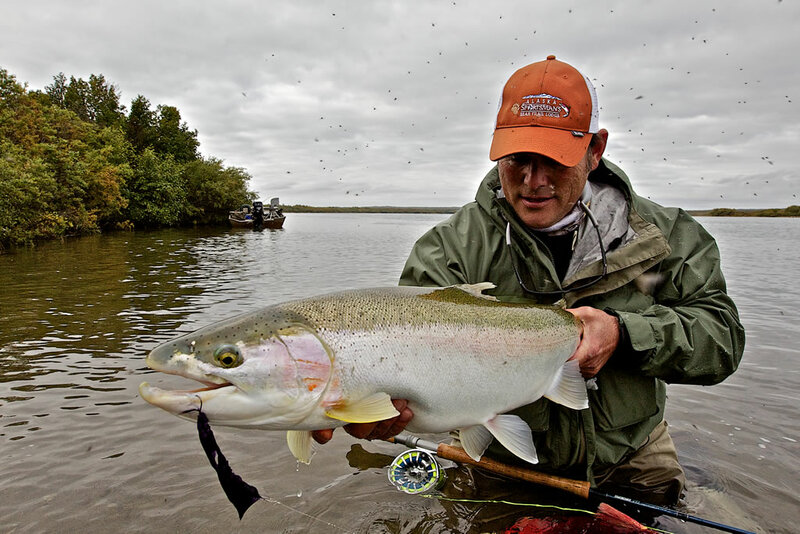 A twenty four year resident of Anchorage, Mark has fly fished throughout Alaska and the western US. 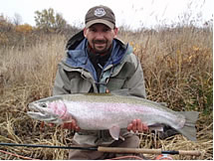 Mark specializes in fly casting and spey casting techniques and fishing for the trophy rainbow trout of the Bristol Bay and Katmai regions of Alaska.